This is just beautiful!!! You're so very talented. Your quilt is just lovely. I have made a lot of wall hangings and three crib sized quilts but never a larger bed sized one yet. This is very inspiring! It looks great. 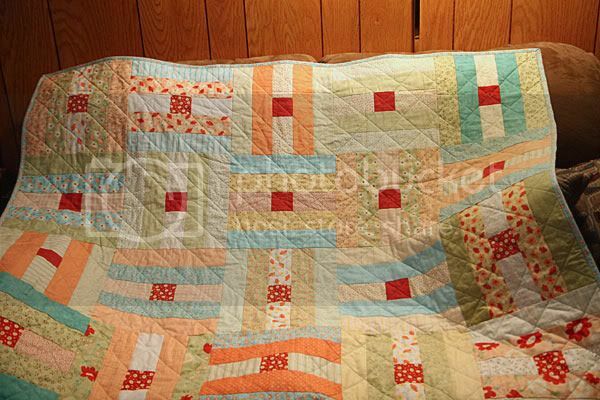 Nice job on the quilting. I do my bindings that way too... it's stronger and faster... more time for sewing more quilts! OMG! That is so beautiful! 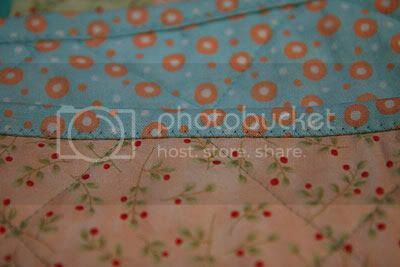 I love the colors of fabric you used. I love quilts but have never tried to quilt. Holy Moly... This is AWESOME! Love the pattern and wow you are clever, I struggle with curtains. I LOVE this Gale! Good for you! I have so much appreciation for quilters and the time and effort that goes into the work. It astounds me! This is so pretty. Love the colors and patterns. This is AMAZING. AMAZING. Did I say AMAZING? Wow. You have mad talent, Gale! oh my this turned out amazing! 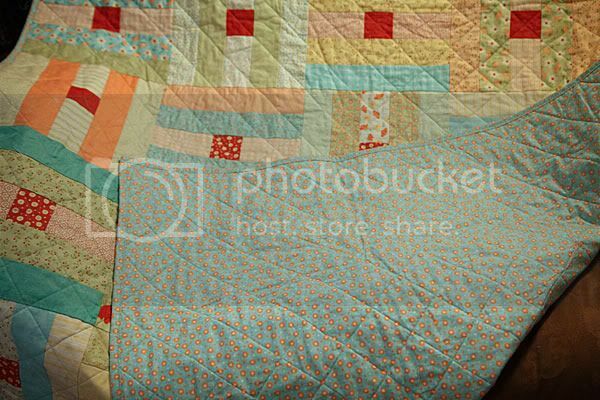 I love quilts, esp. handmade ones. Wow you made this? Great job Gale. it looks so great. Great job! 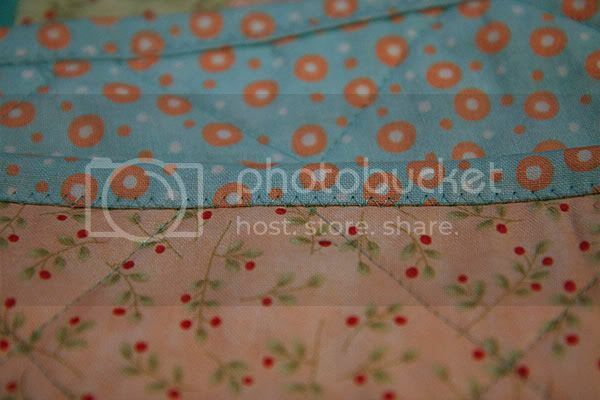 I love the idea of machine stitching the binding, but how does it look on the front? this is beautiful. I want to snuggle under it with a cup of cocoa and read a good book! Awesome job... be proud of yourself!!! it is lovely! Gale, you are a lady of many talents!!! This quilt is amazing! The colors are great, and I love the backing material. I must learn more about sewing! It honestly looks like fun! What great colors, I love how you have arranged it!!! !